Even though it’s only autumn, many people in the Gilroy area are already getting excited for the winter holidays. Despite the fact that we rarely get snow here in Gilroy, many homes and businesses go all out when it comes to holiday decorating. There are lighting displays all over town, with people illuminating trees, bushes, and the outline of their homes with thousands of twinkling lights. Although holiday decorating looks very beautiful and helps us all to get into the spirit of the season, it’s important to remember that all of these light strings plugged into outlets can cause a terrific drain on your home’s electrical system. 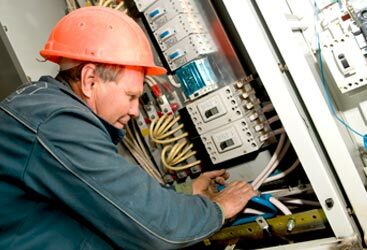 Unless you want to reenact a horrifying scene from National Lampoon’s Christmas Vacation, it’s best to take some advice from Wright Electrical, your trusted local electrician. 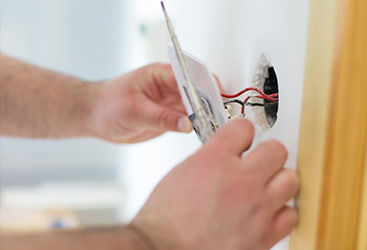 Before decorating your home this year, follow these tips from our master electricians. And remember, if you suspect that your home might need electrical repairs before (or maybe because of) your holiday decorating ambitions, call to schedule an appointment today! Inspect Lights Before Hanging – Whether you organized them neatly or just threw the entire tangled heap into the attic when the holidays were over last year, your lights must be inspected before they’re hung up again. Not only will this help you to identify strings that are damaged, which can lead to fire hazards, it will also help you to locate burned out bulbs that may stop the entire string from working BEFORE you wind them all around the tree. Always Follow The Directions – You know those little tags that hang off of your light strings? Yes, the ones with really tiny writing on them. Those tags contain valuable information about how to use your holiday lights safely. In most cases you should only connect three strings of lights together. Adding more increases your chances of burnout or electrical fire. Don’t Ignore Burned-Out Bulbs – Speaking of burnout, don’t ignore single bulbs on a string that are no longer working. Empty socket or those that are occupied by a broken bulb may cause the entire string to overheat, a dangerous fire hazard. Don’t Bring Outdoor Lights Inside – Some boxes of holiday lights say ‘outdoor’ and some say ‘indoor’. These designations exist for a reason! Outdoor lights tend to burn much hotter and brighter than indoor ones. Bringing outdoor lights inside puts you at risk for electrical hazards. Be Careful How You Attach Lights – When hanging up lights, attempt to use hooks or other UL-approved hangers. Using nails or staples could damage the wire’s insulation, creating a fire hazard. Consider Making The Switch To LED Bulbs! -We’ve talked about the many benefits of LED bulbs in past posts, but for now we’ll just remind you that these modern holiday lights burn cooler and require less energy that older styles. 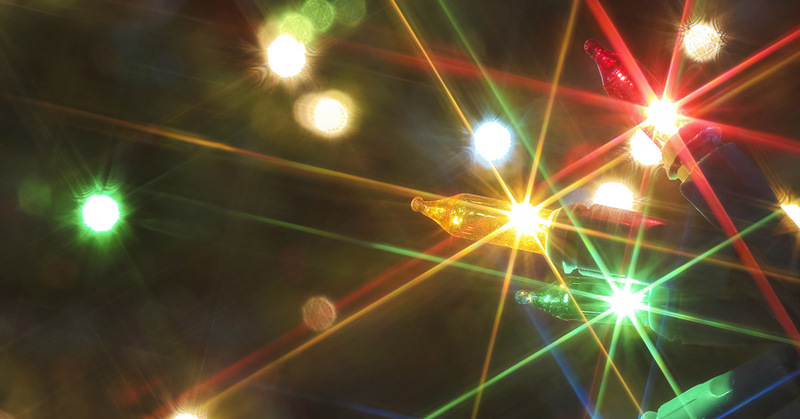 Why spend more on holiday lighting than you have to? If you have additional questions about how to safely decorate your home for the holidays, or simply want to get an electrical inspection to make sure your home’s circuit can handle the lightshow you have planned, contact Wright Electrical today. 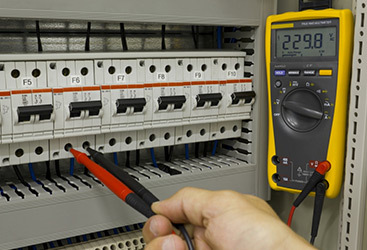 We can handle any electrical repairs that you might need!